Without doubt, 2015 is destined to be another glorious year for Disney after 2014 big hit Big Hero 6, Maleficent, Into the Woods. Cinderella? Star Wars: The Force Awakens? Ant-Man? Avengers: Age of Ultor? Which is already on your calender? Gearing up for the next new Disney movies season in 2015? Here I count down all the new blockbusters from Disney to save you some ticks on the clock. We are a bit tired of seeing Hollywood films featuring a male character all the time. 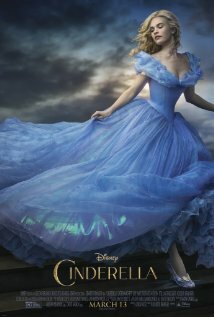 Cinderalla, a Disney’s live action remake, shows the charm of female protagonists, approaching and expected to surpassing Maleficent in box office. Did I mention the heroine - Lily James (of Downton Abbey)? A gorgeous lady! The new movie distributed by Disney becomes the first pre-Easter hit and is highly praised that it whips up a handsome slice of old-fashioned family entertainment. Rumors about this upcoming Disney movies in 2015 are swirling now! The news that the trailer for Star Wars: The Force Awakens is just around the corner successfully makes the audience in suspense. 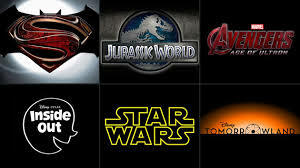 Written and directed by J.J. Abrams, Star Wars Episode VII starring Harrison Ford and Carrie Fisher may become a big winner among a big basket of 2015 Disney films. 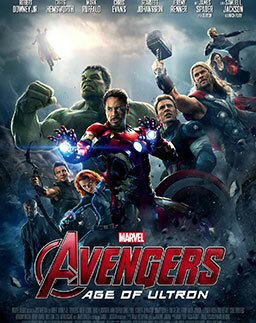 Marvel's The Avengers grossed over whopping $1.5 billion worldwide. Is there possibility that its sequence also becomes a huge hit? We haven't any idea yet. We don't know much information but we'll start to know much more secrets about the upcoming Disney release 2015 because it will come out soon, on May 1 in USA. Surely, since trailer is available now, you can download HD Avengers:Age of Ultron trailers from YouTube using YouTube video downloader. It is a new Disney superhero movie in 2015 based on the Marvel Comics characters, Scott Lang and Hank Pym. Embracing the super-power - shrink in size but increase in strength, con-man Scott Lang has to help Dr. Hank Pym, his mentor to protect the secret of his Ant-Man suit and save the world. It is not just about a boring hero's journey, the new Disney movie's teaser trailer indicates instances of humor, actually, it will be funnier than you think. Now, what you need is to watch the best Walt Disney Animated Movies. Here is a detailed 2015 latest Disney movies list for you to check out. From fictional movie Ant-Man to new Cartoon movie 2015 The Good Dinosaur, new Disney animated movie Inside out , from January to December, you'll get a clue here. Tips: we can download disney titles from YouTube with the help of MacX Video Converter Pro. Better yet, we can use it to download 2015 new Disney releases like Cinderella HD full movie from any sites as you wish with original quality unchanged thanks to its stunning recording feature. Besides, it gives us opportunity to download movie soundtracks in batch and convert them to mp3, AAC, iPhone ringtone etc. for playback on music player, making personalized ringtone for iPhone. If you are fond of collecting DVDs, You won't miss the newly released DVDs from Disney. It is worthy to notice that last year's hitS Big Hero 6, Into the Woods have already been on DVD. Tips: when it comes to DVD, we won't forget DVD ripper. By seamlessly bypassing Disney DRM copy protection, it gives us easy access to convert Disney DVDs to digital video format MP4 AVI MOV etc. for playback on iPhone iPad Samsung Android or game consoles, or to make a digital copy of Disney DVD. Frozen: This Disney princess movie becomes Disney billion dollar. Since it's release in November 2013, it has become the highest-grossing and best Disney Animated movie of all time, making a new record in Disney history. Similarly, its theme song Let It Go has been belted out in every corner of the world and won the Best Achievement in Music Written for Motion Pictures, Original Song at the 86th Academy Awards in Los Angeles, CA. Beauty and the Beast: This is Walt Disney Animation Studios' 30th animated feature film. It is worth reviewing to revive a specific time. It is the first animated film nominated for the Academy Award of Best Picture. Into The Woods: It is a musical fantasy film from Disney for Halloween released in 2014. "Fairy tales, like 'Jack and the Beanstalk', 'Little Red Riding Hood' and 'Sleeping Beauty' are mashed together in Soundheim's classic musical". Big Hero 6: New movies are not the only resources for 2015 calendar. Big Hero 6 honored with the Best Animated Film Oscar is a won't-miss superhero film produced by Walt Disney Animation Studios in 2014. It is another big hit after Frozen. Action-packed,highly enjoyable, Big Hero 6 never fails to entertain the audience. We look forward to see more "Big Hero 6" from Disney. There are still other blockbusters, too, such as Pirates of the Caribbean series, The Lion King, Aladdin, Tangled, Sleeping Beauty, Finding Nemo etc.